How Strong is the NetSquared Organizers' Sense of Community? But the level of satisfaction percentage isn't granular enough for me to determine how TechSoup can make the NetSquared organizer experience better. The goal is to have more organizers (quantity) delivering better events (quality) over a longer duration (retention). But how do we build our ideal community? I turned to the academics for help. The Sense of Community Index (SCI) survey is the most frequently used quantitative measure of sense of community in the social sciences. 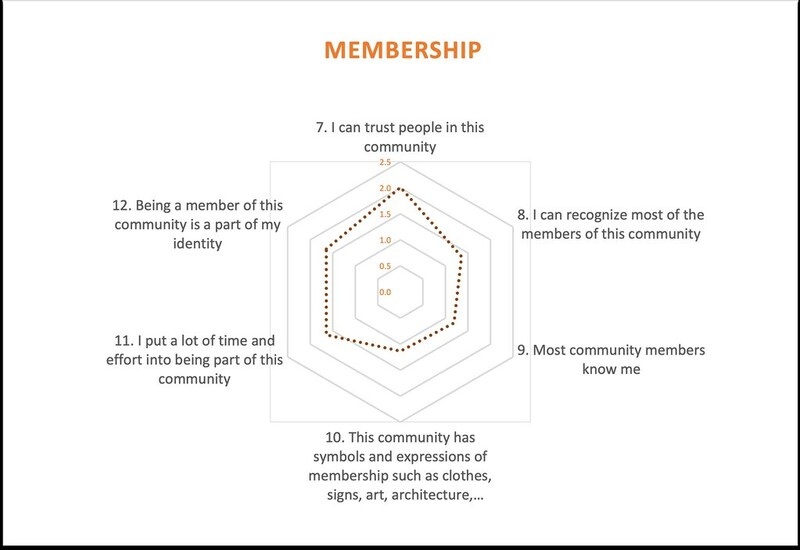 The SCI is based on a theory of sense of community that stated that a sense of community was a perception with four elements: membership, influence, meeting needs, and a shared emotional connection. Results of prior studies have demonstrated that the SCI has been a strong predicator of behaviors (such as participation) and a valid measurement instrument. 106 NetSquared organizers responded, with the results broken into the four categories. I present the results below, with comments on actions TechSoup can take to address areas with low scores. 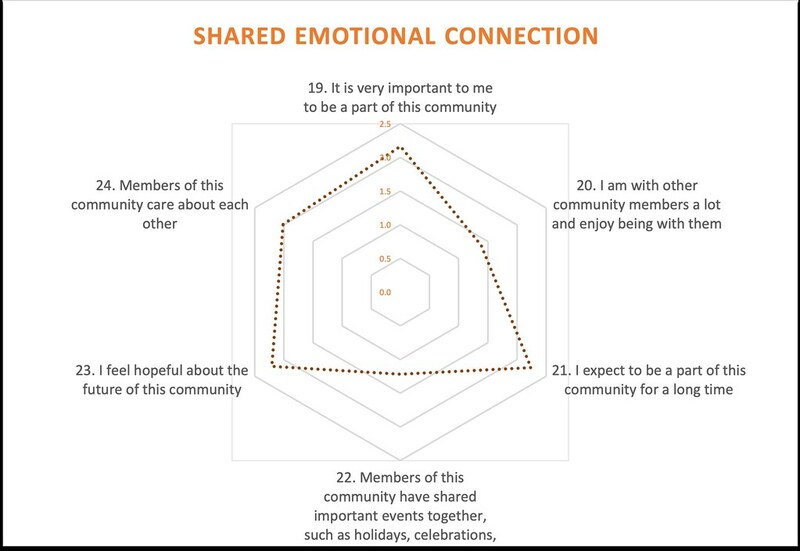 The initial question “how important is it to you to feel a sense of community with other community members?” is a validating question that can be used to help interpret the results. Our academic friends have found that total sense of community is correlated with this question. 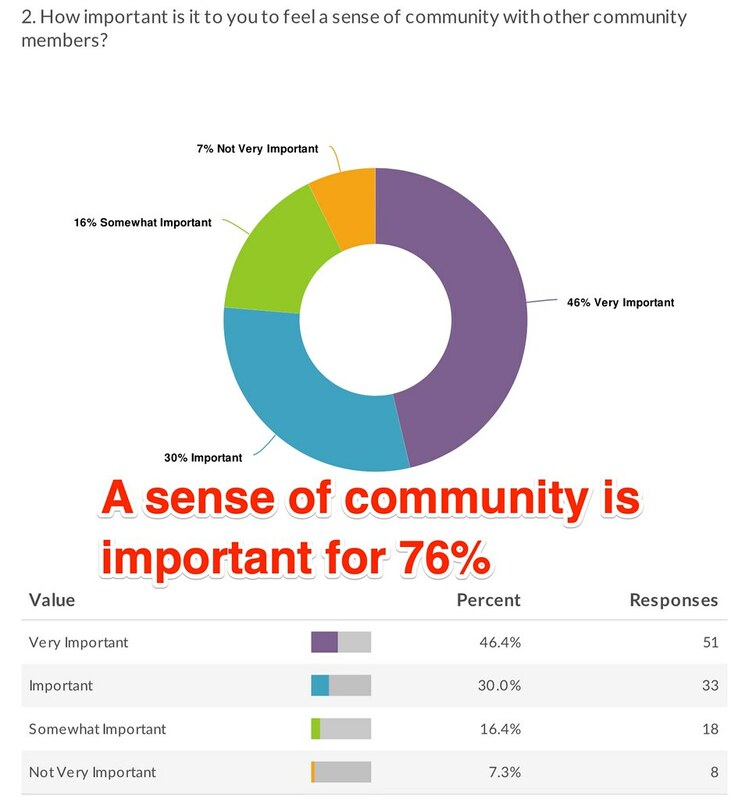 So, a sense of community is important for 76% of our members. The NetSquared organizers are all very community-focused. But their primary interest is building local community within their group, with the intra-organizer community of peers being of secondary interest for most volunteers. 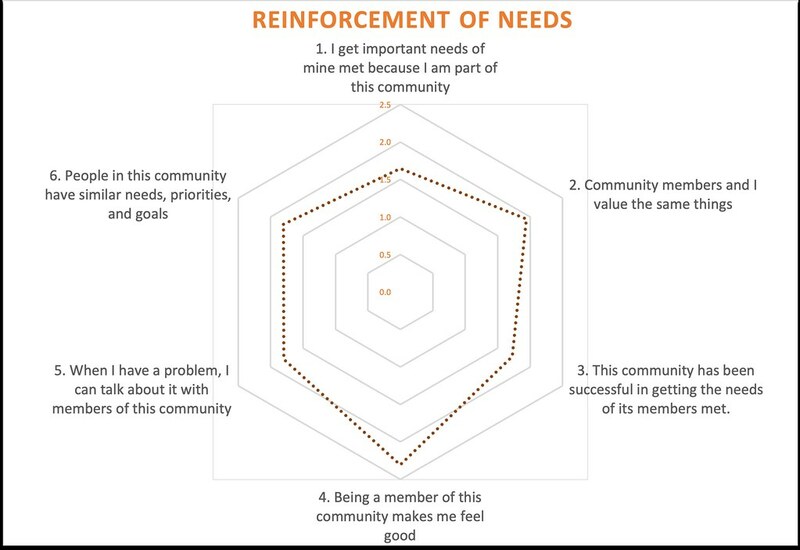 "I get important needs of mine met because I am part of this community"
"This community has been successful in getting the needs of its members met"
I need to dig in more to better understand what the needs of organizers are. The closest answer we have to this comes from the last survey, but that's more focused on what NetSquared helps organizers accomplish, rather than their needs. 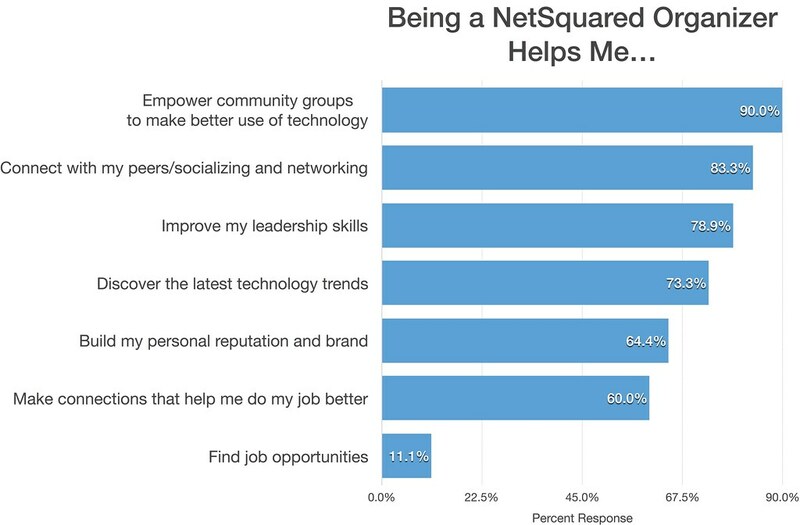 Results from the 2017 Survey "Why Are You a NetSquared Organizer?"" The membership section responses show that there's some big gaps. The lack of shared symbols and the fact that most organizers feel they don't know each other are real problems. However, we have a plan to address the fact that organizers aren't building relationships across the network. TechSoup is launching a new "NetSquared Welcoming Team" in January, with the explicit mandate of fostering conversation and growing relationships between organizers. The new team will also be discussing the creation of shared ritual and symbols for the network. My hope is that next year's survey will show positive movement on these measures. 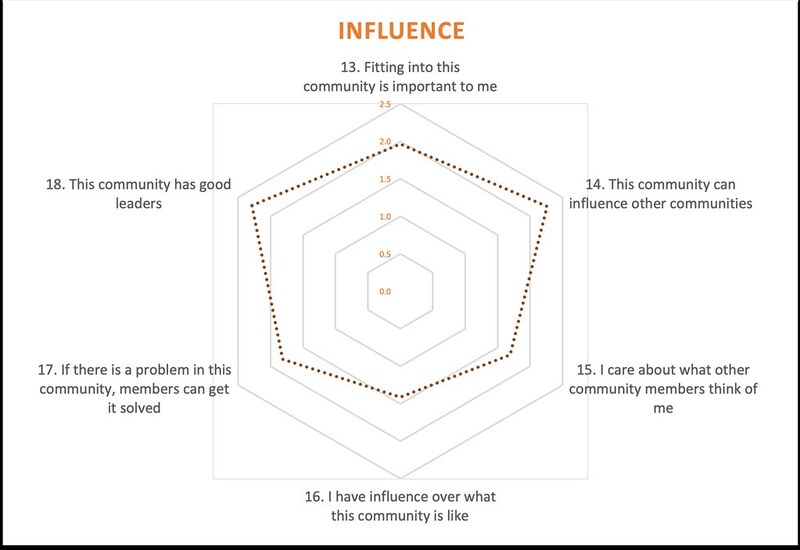 The Influence section generally scores high, but the top challenge is the feeling that organizers have "little influence over what this community is like". This gap may be a consequence of the fact that the long-standing Regional Ambassador program was on hold last year, which closed our biggest opportunity for organizers to shape the direction of NetSquared. The Welcoming Team re-opens our direct channels for community-led program design, with the advantage that it will be a much bigger group. There were usually seven Ambassadors, but there are 18 members of the Welcoming Team. Again, I will use these results as a benchmark to see if we can improve this low score when we run the Sense of Community Index next year. "I am with other community members a lot and enjoy being with them"
"Members of this community have shared important events together, such as holidays, celebrations, or disasters"
The Regional Ambassador program featured local gatherings that offered in-person opportunities for organizers to meet their peers. But this program was expensive and only ever reached about one third of members. The need for shared events mirrors the lack of ritual and shared symbols – and my experience has taught me that shared identity symbols are critical for the health of a community. The fact that NetSquared doesn't have obvious identity signifiers is a critical oversight. Working to create a stronger sense of shared community will be the first task for me and the incoming Welcoming Team.